When most people think of real estate investing, single-family homes or apartment buildings come to mind, which means dealing with tenants and contractors on a daily basis. The latter puts off many would-be investors as does the high cost of entry. 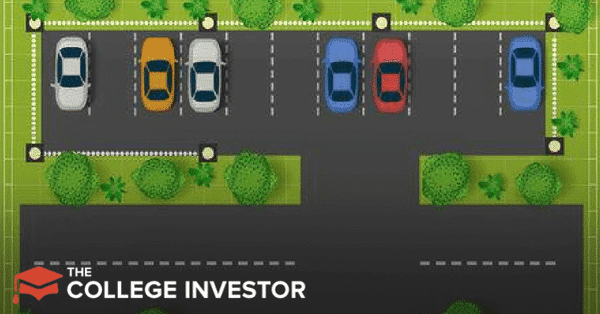 There is an alternative that is fairly low-key and doesn’t get much attention: mobile home park investing. Unlike single-family home investing, investors don’t own the trailers in the mobile home park. Instead, they own the land. Tenants own the trailers and pay rent for the space to park them. Often tenants are older, retired folks who simply want a quiet place to live. For the most part, mobile home park investing is still flying under the radar. It hasn’t seen big money from hedge funds or larger commercial investors come in yet. That will likely change; but for now, it’s still a viable option for investors who can’t afford more common real estate investments. In this article, we’ll share what to expect when investing in a mobile home park. Investing in a single-family home or apartment building is cost-intensive because you’re buying the structure and the land. With a mobile home park, you’re only purchasing the land and common areas (streets, clubhouse, etc.). This means the operating cost will be roughly 30% compared to 50% with apartment buildings according to Park Street Partners. Also, per square foot, a mobile home park costs much less to acquire. When a tenant moves out of an apartment or home, you have to move fast to fill the vacancy. Depending on the complex, turnover can be high. Turnover also leads to cost. An apartment must be cleaned and repaired. Additionally, you’ll have to pay to acquire a new tenant. Mobile home tenants don’t move often. In fact, it’s costly for them to do so. “It can cost a tenant $5,000 [to] $7,000 to move their home out of a park and thus 98% of mobile homes will remain in the same location after the second year. 75% of owners expect to stay in their [mobile homes] for [five] years or longer, and a large percentage expect to never sell,” said Andrew Lanoie, Founder and CEO of Four Peaks Capital Partners, in a Forbes interview (Editor's Note: Quote has been edited where brackets exist). In contrast, apartment turnover can be as high as 60%. As the owner of a mobile home park, you don’t have to deal with contractors on a daily basis or at least as much as you do with an apartment building. Tenants maintain their homes rather than calling you. You may still need contractors for help with putting in or moving out a trailer and repairing common areas but overall wear and tear is far less than that of an apartment building. Costs are referred to as capital expenditures. In the graph below, manufactured housing comes in at the lowest point compared to other types of real estate investing. There may be cases where a mobile home park owner rents out some of the mobile homes. Keep in mind that this strategy will increase cost as most mobile homes are not as durable as a permanent home or apartment. Financing the purchase of a mobile home park isn’t far removed from traditional real estate financing. Some investors will line up other investors to help with raising capital. There’s no reason this same tactic can’t work for a mobile home park. There may be a preference for paved roads rather than gravel. The majority of homes must be owned by tenants (percentage can vary with lenders). There is a preference for off-street parking. Some lenders may want detailed expense reports dating back three years. This may be difficult to come by as most mobile home park owners are mom-and-pop shops. Meaning, they’re a single owner and probably don’t have sophisticated records. As mentioned earlier, the mobile home park investment industry, for the most part, hasn’t been infiltrated by more sophisticated real estate investors. Gathering detailed expenses may take a lot of your time and require the cooperation of the current owner. However, a willing seller should be more helpful than not. As with any real estate investing, homework is essential. Rushing into any deal because of time pressure can lead to disaster. It may be okay for an experienced real estate investor to rush into a deal. They know what they are getting into. But for a beginner, taking your time to gather information, speak with owners, and do proper due diligence will go a long way to making your first investment a success. Beyond your local market, there are some awesome real estate platforms that sometimes have mobile home parks for sale. Our favorite for buying individual parks (when they are available) is RealtyMogul. RealtyMogul allows you to be a limited partner in a property - which is a great way to get started. They don't always have mobile home parks on their platform, but if you sign up you can see what they offer. Check out RealtyMogul here. Another option for real estate investing is Roofstock. Roofstock doesn't do mobile home parks, but does allow you to invest in already occupied and leased properties. We like Roofstock because it's basically turnkey to get into a cash flowing property on day one. Check out Roofstock here. Finally, there is Fundrise. The great thing about Fundrise is that anyone can invest in real estate for as little as $500. You might not be able to get directly into a mobile home park, but you will invest in a REIT that could have mobile home parks as an underlying asset. Check out Fundrise here.